One moment you can be completely fine, carrying on with your day, and in a split second it can all change. You convulse, you lose control and you begin to act quite differently. If this scenario only occurred to you once, you’ve likely experienced a seizure. But if it becomes a reoccurring event, you could have epilepsy. It can be frightening for you and those around you when you begin shaking and losing consciousness – and that is what makes epilepsy so serious. Epilepsy is neurological disorder which means it affects the nervous system. Seizures happen because there is a disruption in the neurons when attempting to communicate. The Mayo Clinic reports that one in every 26 Americans will suffer from a seizure disorder making epilepsy the fourth most common neurological disorder. Epilepsy can lead to other health concerns and can involve different types of seizures. Epilepsy is chronic and the longer the seizures last, the more damage they can cause. As we mentioned, epilepsy is scary and it can impact your sense of safety. Because the seizures are random, they can occur while driving, crossing the street or anytime where further injury may result. 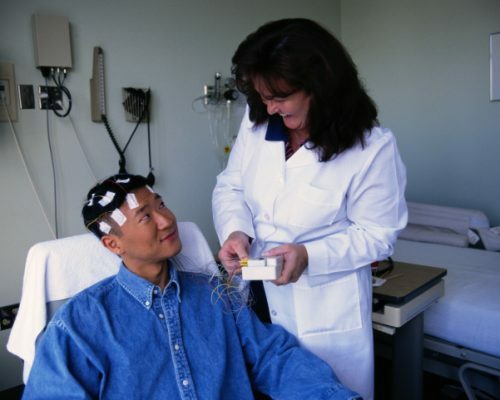 Proper epilepsy management and treatment is essential to live safe and happy. In order to receive a diagnosis of epilepsy, an individual must experience at least two unprovoked seizures. These seizures cannot be a result of an underlying medical condition or withdrawal from alcohol or drugs. Illnesses which affect the brain like Alzheimer’s disease. The Epilepsy Foundation reports that six out of 10 seizures are idiopathic which means the cause is unknown. This number is quite high and that is what makes it so difficult to pinpoint an exact cause of epilepsy. Although it may be frustrating to not know the cause of epilepsy, treatment can still be carried out as long as you haven’t experienced stroke or a detected tumor. There are two forms of seizures linked with epilepsy: Partial and generalized. A partial seizure mainly affects a small part of the brain and a generalized seizure can affect the majority or all of the brain. Loss of memory of the event. There are six types of generalized seizures: Absences, myoclonic, clonic, atonic, tonic and tonic-clonic. The signs and symptoms of each involve convulsions, muscles relaxing or stiffening, jerking and twitching, and losing awareness of surroundings. There are 18 different types of epilepsy. Below is each type along with their description or common characteristics. Angelman syndrome Developmental disorder, genetic cause, affects 1 out of every 15,000 births. Benign rolandic epilepsy Short seizures (last up to two minutes), occurs in children and generally stops at age 15, generally happens at night. Childhood and juvenile absence epilepsy Occurs in children and the child is unaware of surroudnings and what is going on, cause is generally genetics, treatment can help and will usuually stop in adolescents. Dravet syndrome Usually caused by a mutation in genetics, some disability may develop, most commonly misdiagnosed. Frontal love epilepsy Short seizures, may result in screaming, seizures occur in clusters, surgery and medication are forms of treatment. Hypothalamic hamartoma Benign tumor or lesion on the hypothalamus, unknown cause. Infantile spasms/Wests syndrome Jerking and stiffening, short but cluster seizures, occurs in children between 3 to 12 months, may cause developmental delays. Juvenile myoclonic epilepsy Genetically determined, jerks start to occur in mid-teen years, occurs soon after awakening. Landau-Kleffner syndrome Occurs in young children (7 years of age or younger, seizures occuring during sleep, loss of IQ may occur). Lennox-Gastaut syndrome Involves different types of seizures, can begin in childhood and remain through adulthood, seizures don’t usually respond to medication, intellectual development may become delayed. Ohtahara syndrome Typically occurs in newborns, genetic mutations or brain deformation are potential causes, pregnant mother may experience first seizure while child is in the womb. Panayiotopoulos syndrome occurs in mid childhood, majority of seizures occur during sleep, not genetically determined, seizures can last up to 60 minutes. Progressive myoclonic epilepsies Cause may be unknown but sometimes linked to hereditary metabolic disorders. Rassmussen’s syndrome Weakness and neurological problems can occur up to 3 years after the seizures begin, language problems are a side effect, cause is an autoimmune disorder. Ring chromosome 20 syndrome Chromosomal disorder, can occur at birth, subtle seizures at night, linked with behavioral problems, cognitive impairments and learning disabilities. Reflex epilepsies Flashing lights may trigger seizures, avoid stimulating triggers to prevent seizures, sounds or voices may also be triggers. Temporal lobe epilepsy Common causes are injury to the brain or a previous seizure with a fever, seizures can either be very mild or quite intense. Epilepsy with myoclonic-absences Unresponsiveness and body jerks are common signs and symptoms, individuals may develop learning disabilities, may disappear by adulthood or can be carried throughout life. As you can see, many forms of epilepsy occur as young as at birth, but many of them can follow a person right into adulthood. Because so many types of epilepsy don’t have an exact cause, it is hard to suggest preventative measures. The best way to live with epilepsy is with supervised medical intervention – with medications, surgery or avoiding potential triggers. It may seem stressful to have epilepsy, but with proper care and management you can still enjoy a fulfilling life.